As of last Friday 15 March, Bangkok is no longer the only place for us to eye up some Birkins. 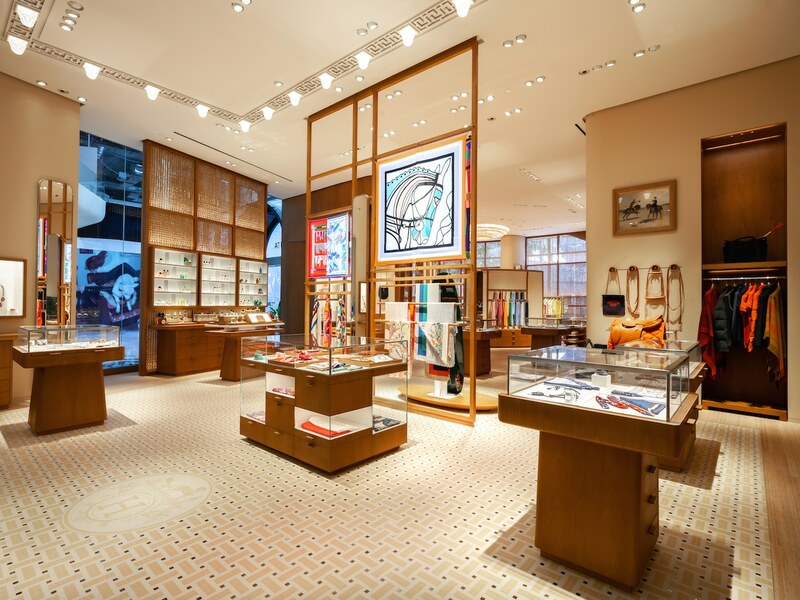 Our favourite makers of luxury leather goods and sumptuous silk scarves have taken their first ever step outside of the capital and opened a brand new store in Phuket. The super sleek and colourfully lit store is located in the newly renovated Central Phuket Floresta. Designed by the Parisian architecture agency RDAI, the elegant 172m² store can be found right by the shopping centre’s main entrance. You can’t miss the familiar exterior of bamboo claustra, which is now lined with glass windows letting in the sunny Phuket daylight. Step inside and you’re in a bright and cognac-toned space made with natural bamboo and local materials. The signature Grecques lights greet you as you come in, as does the iconic Faubourg patterned mosaic floor. The store is a serene and joyful blend of modern architecture and Thai culture, incorporating toffee-coloured silks and fibre fabrics. The cushiony colour palette brings the sand and sun of the resort island inside, with the convivial, cool, and relaxed atmosphere providing a sanctuary from the bustle of Phuket Town. 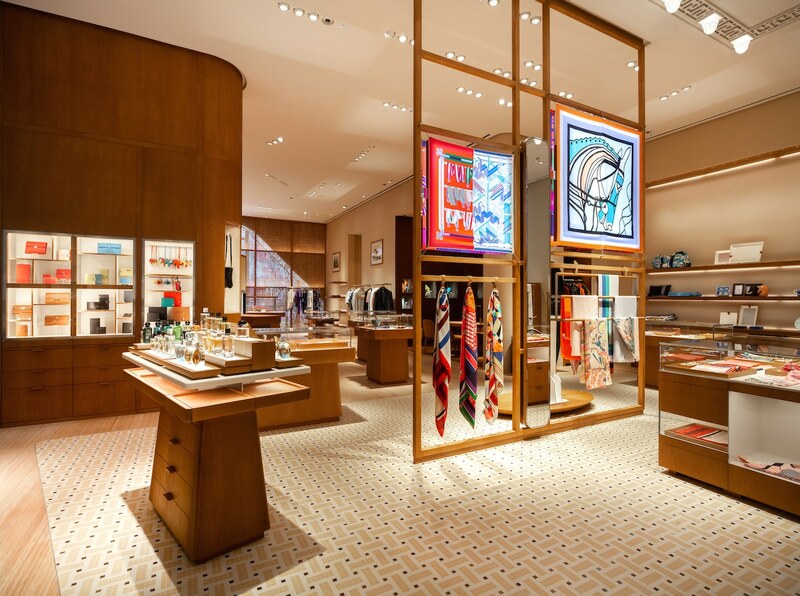 You asked and Hermès has answered. 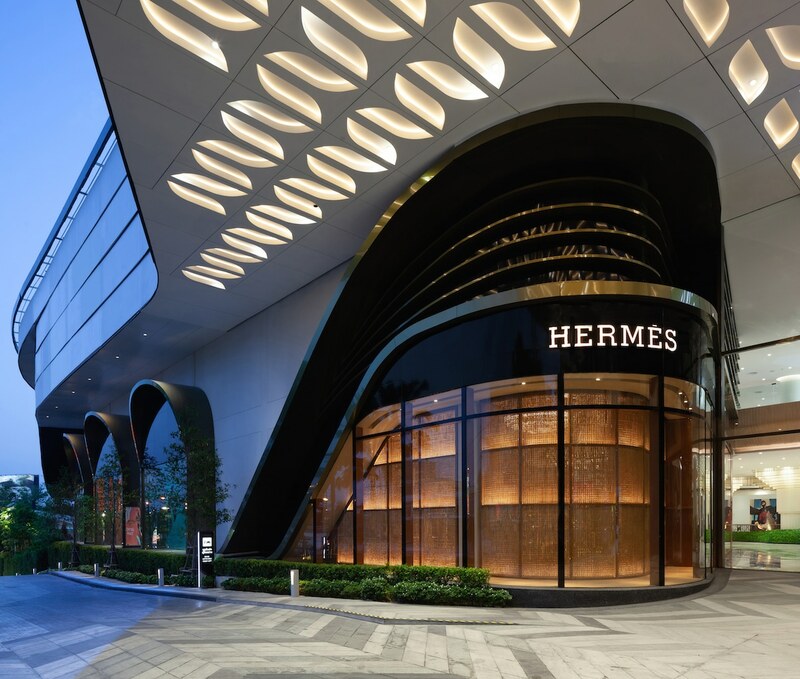 The new store in Phuket is a promising sign of Thailand’s close relationship and love for this luxury icon. Opening on the lively resort island of Phuket means even more holiday extravagance for tourists, both domestic and international. 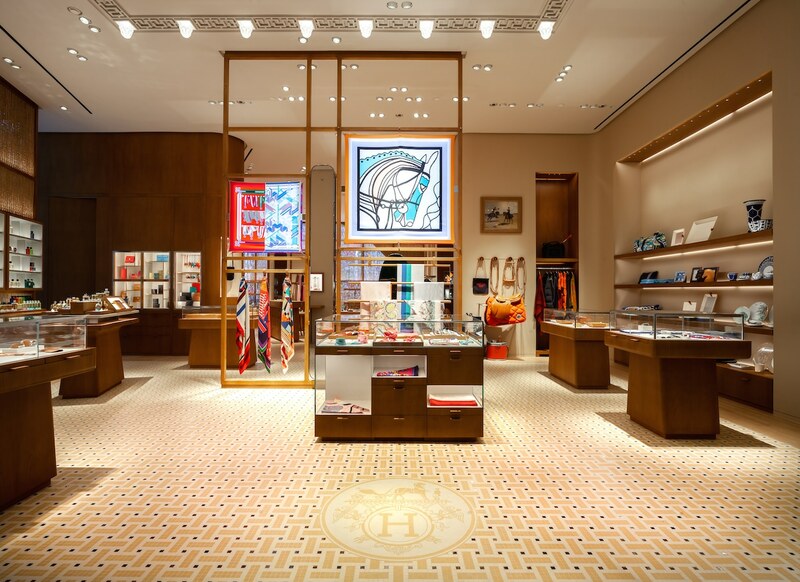 Next time you’re out there to party or just to lounge around on the beach, rest assured that there’s a Hermès store nearby for your usual indulgences. 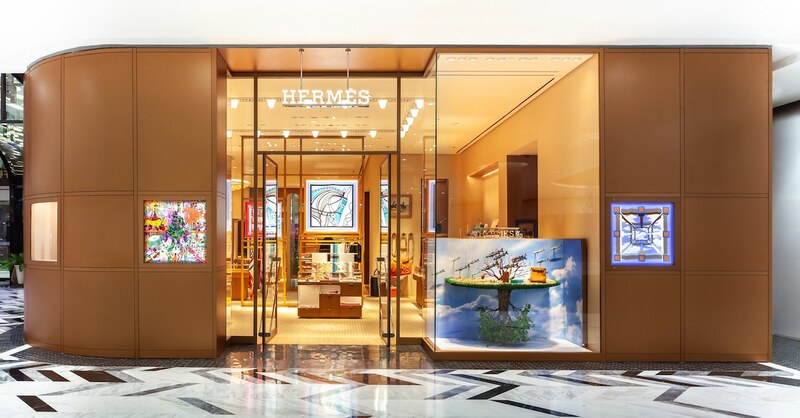 Visit the new Hermès store at the Central Phuket Floresta, Phuket. Opening times: 10.30am-10pm. Tel: 076-291-111.